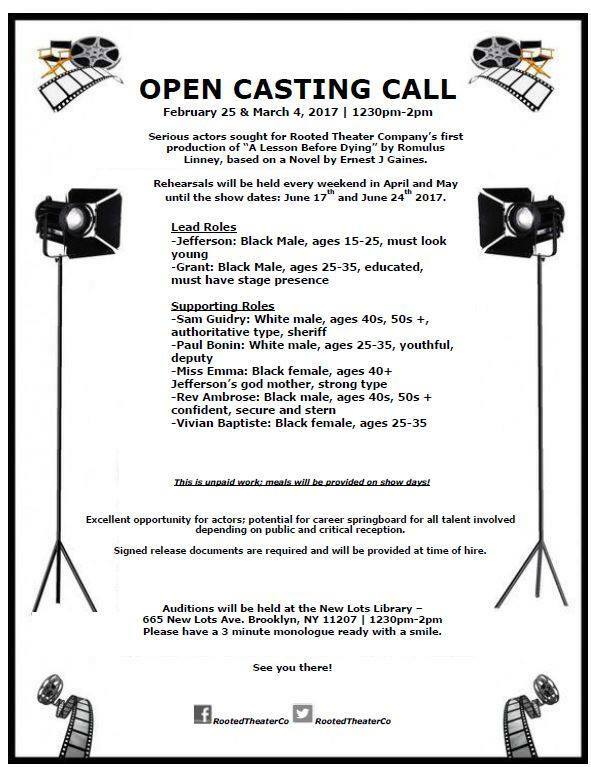 Rooted Theater Company is seeking 15-30 Minute Plays of any genre (comedy, drama, etc.) that encourage social consciousness, celebrate the diversity of our communities, our present struggles and future successes; Plays must be socially relevant. Rooted Theater Company engages, challenges and inspires audiences through theatrical productions that range from the classics to new and emerging works; our programming encourages social consciousness through Real, Open, and Objective Theater Education. We celebrate the diversity of our community's roots, our present struggles and future successes through intentional theater. Rooted is dedicated to producing socially relevant theater based on community experiences. Playwrights may submit no more than two 15-30 Minute Plays. Plays may be no longer than 20 pages, exclusive of title and character pages. Plays must contain no more than 4 characters. Set, props and costume requirements should be minimal. Scripts should include title page with play title, playwright’s name and contact info as well as a character page that includes a short summary of the play and how it relates to the theme posed. Plays must be submitted in PDF format. 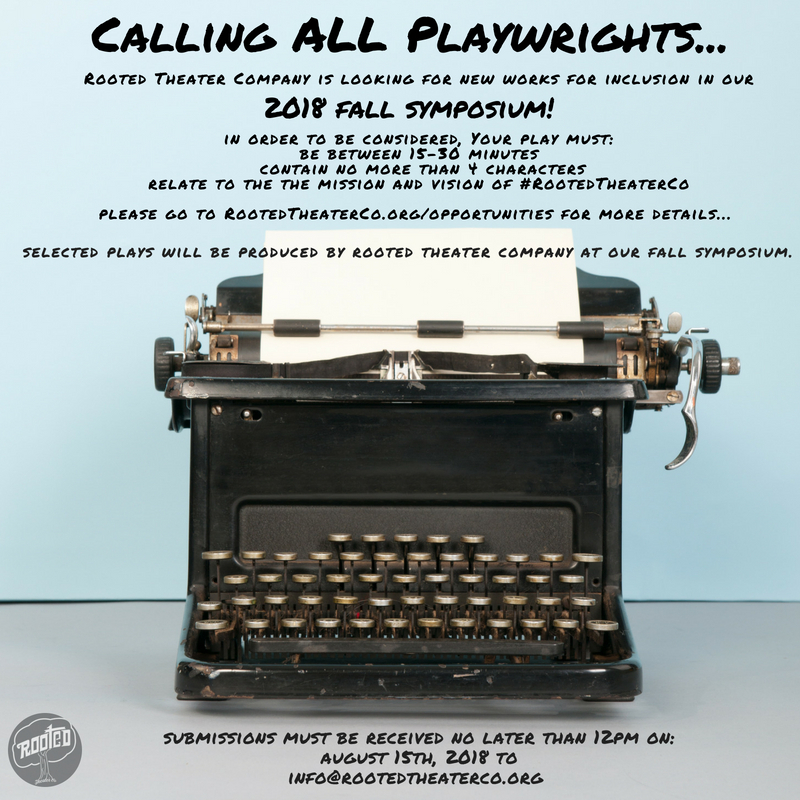 To submit your play, please email info@RootedTheaterCo.org with the subject “SUBMISSION: your name and the title of your play” (i.e. SUBMISSIONS: Jane Doe – “play title”). If submitting more than one play, please send each in a separate email. Submissions are due no later than: August 15, 2018 @12pm EST. Playwrights whose scripts have been selected, will be notified by September 1, 2018. Rooted’s 2018 Fall Symposium is tentatively scheduled for November 2-4, 2018.